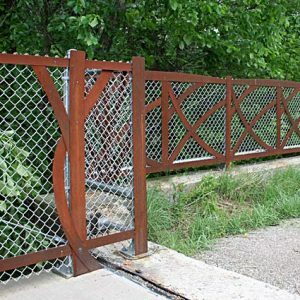 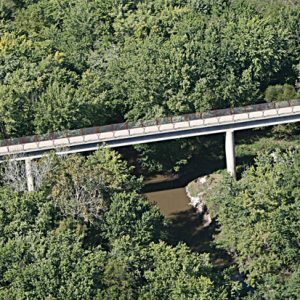 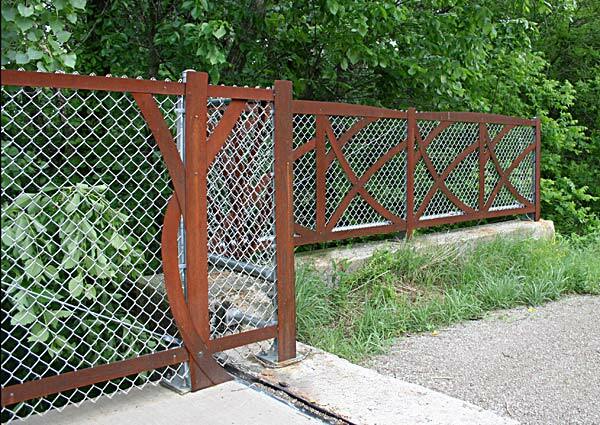 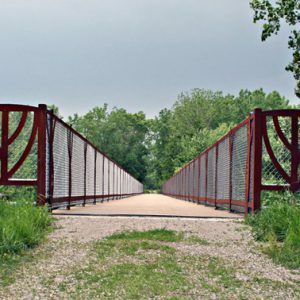 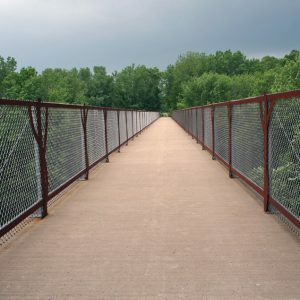 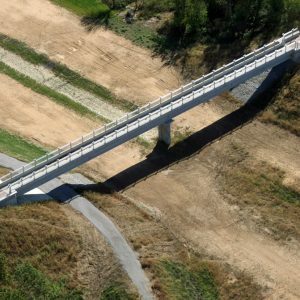 The artist designed decorative elements to retrofit the Cedar View Trail Bridge One in Fairfield, Iowa, helping to soften the very industrial appearance of the bridge. 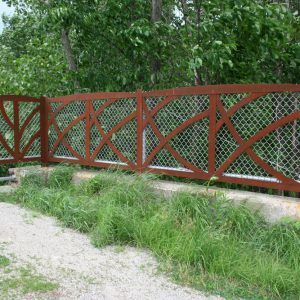 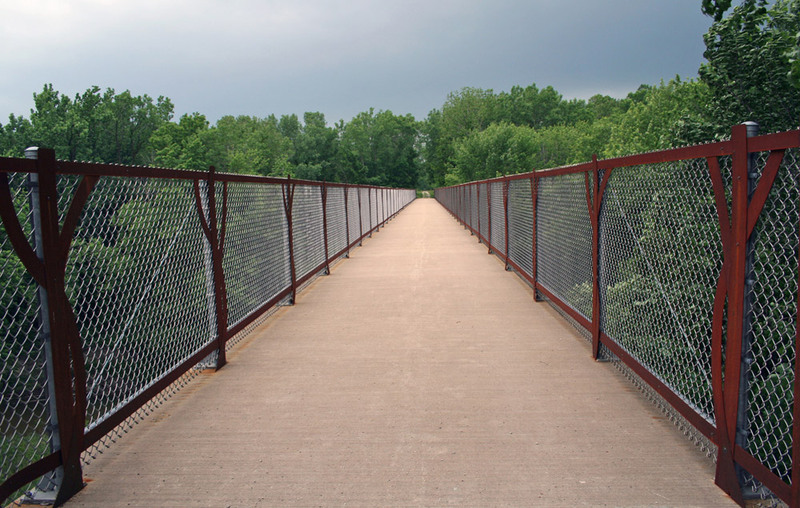 The art elements are fabricated from self-weathering steel and the rich brown patina helps visually integrate the bridge into the beautiful wooded environment. 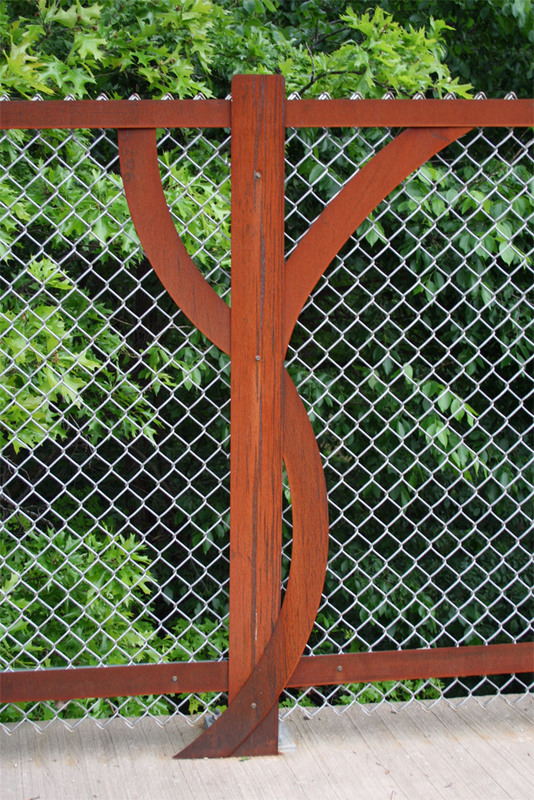 The steel elements are stylized “tree-forms.” Four tree-form designs repeat throughout the 385 foot bridge, with more elaborate shapes at the wings panels at the bridge approaches. 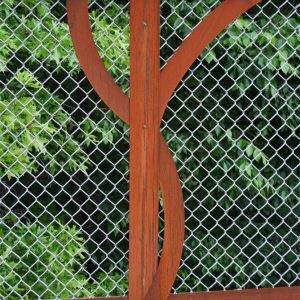 Bales designed the art elements to be firmly attached to the structure yet not obstruct the view of the creek and woodlands. 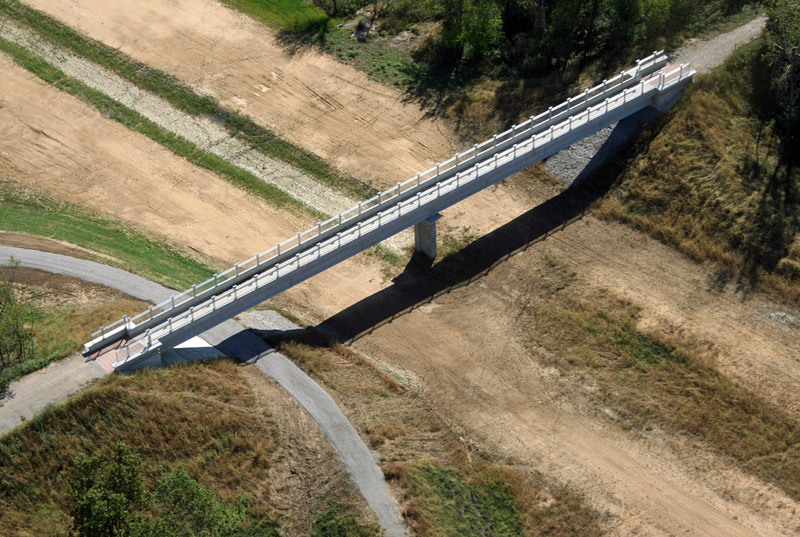 The Cedar View Trail Bridge Two gives safe passage for trail users over the Fairfield Bypass. 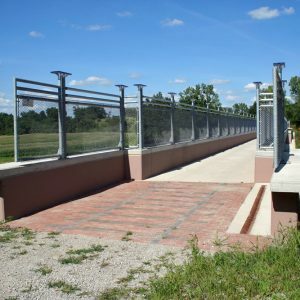 It was designed by the Iowa DOT with input from the artist, who designed a subtle pattern of brick pavers to transition from the trail onto the bridge and partnered with the IDOT to select colors for the bridge detailing. 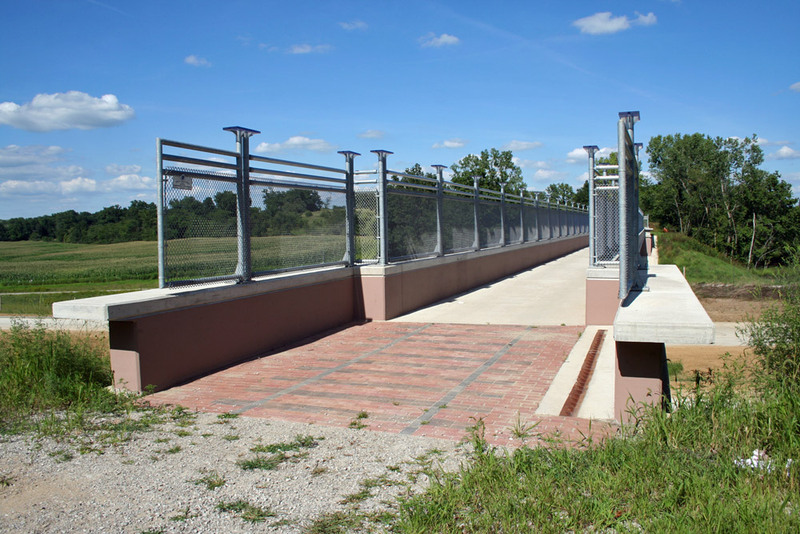 The project was funded in part by a grant from the National Endowment for the Arts. 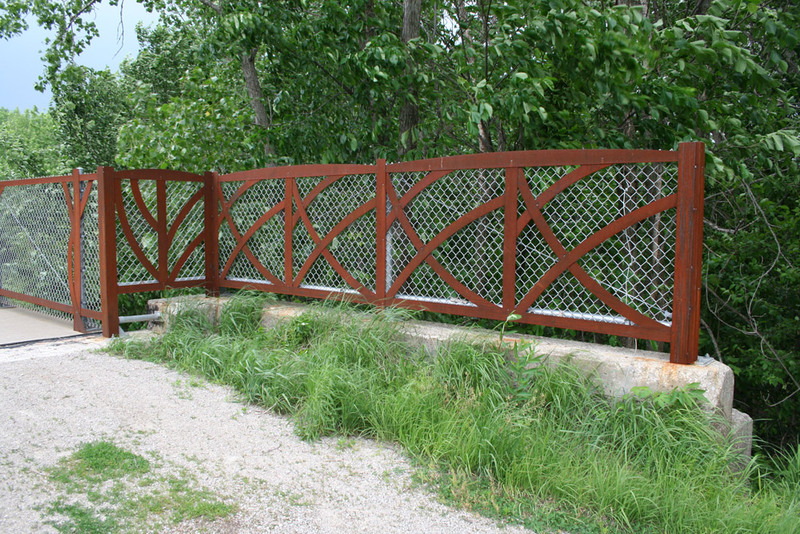 Volunteers from the local community installed the art elements.